Samhain Horror display at the 2012 World Horror Convention & Bram Stoker Awards... Love to have Wolf's Edge in that august company! AVAILABLE NOW! The Judas Hit, a slightly supernatural thriller by W.D. Gagliani. 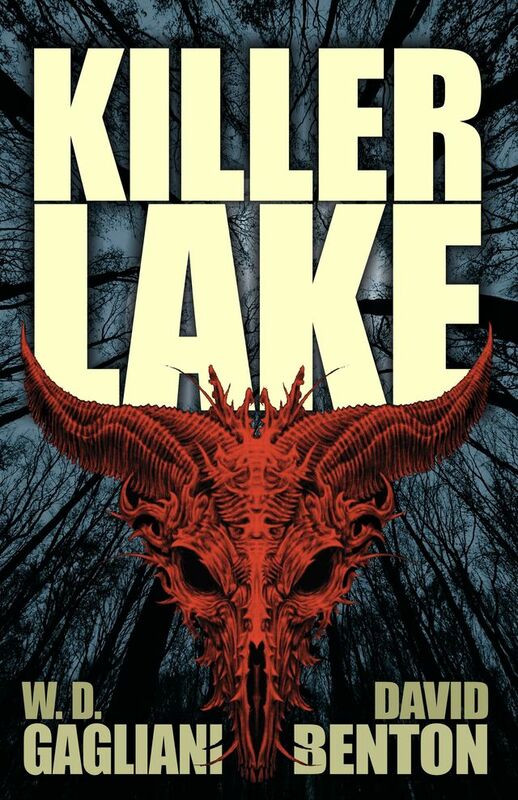 KILLER LAKE, a novel by David Benton & W.D. Gagliani. 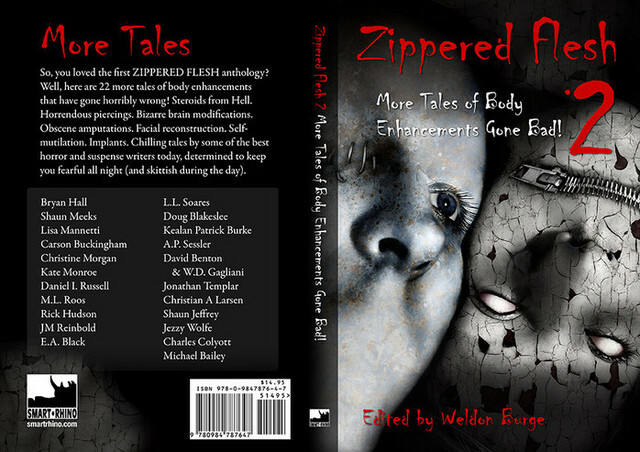 Coming August 15, 2019, from Deadite Press! SPLATTERPUNK: Fighting Back Italian Edition, coming soon! The Splatterpunk Fighting Back anthology (edited by Jack Bantry and Kit Power) contains the Benton & Gagliani story "Feast of Consequences" (an excerpt from the novel in progress we call Killer Lake). This worthy anthology pays tribute to the Splatterpunk movement and its unflinching ways, while still doing good for people though a charity for cancer awareness. 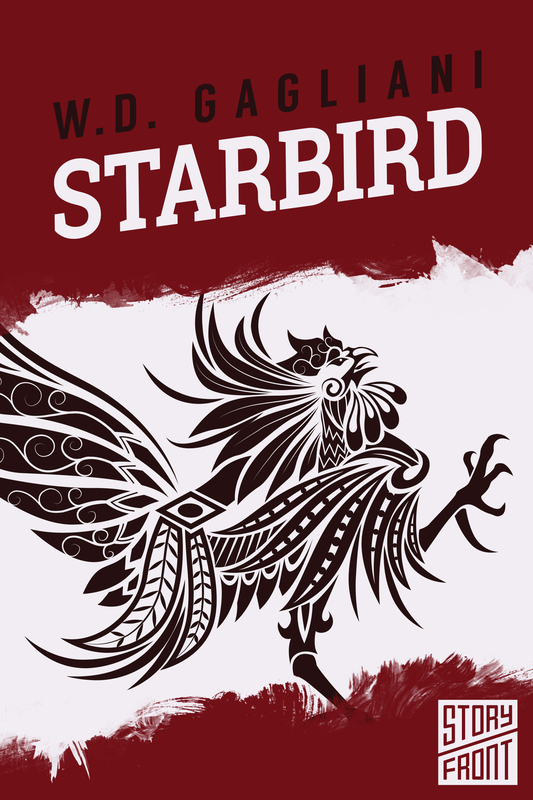 WINNER OF THE FIRST SPLATTERPUNK AWARD FOR ANTHOLOGY, August 2018! 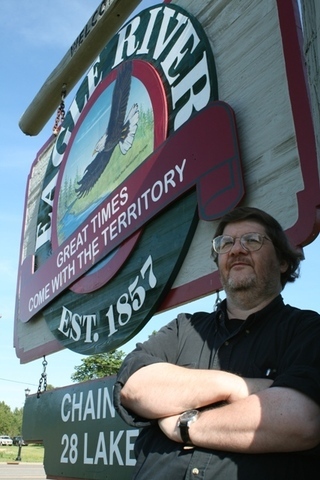 The story "Port of Call" (from the Lone Wolf anthology TERROR ON THE HIGH SEAS, Honorable mention in the Year's Best Fantasy & Horror) has a second life in FEARFUL FATHOMS, edited by Mark Parker. 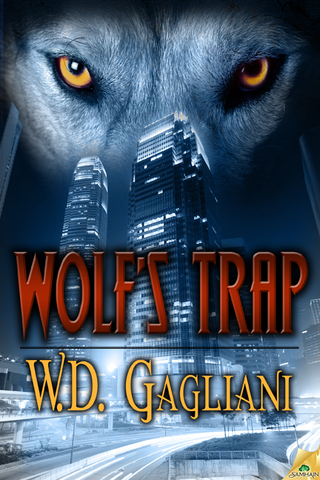 WOLF'S TRAP (Bram Stoker Award finalist and first book in the Nick Lupo series), new Crossroad Press edition, 2017. 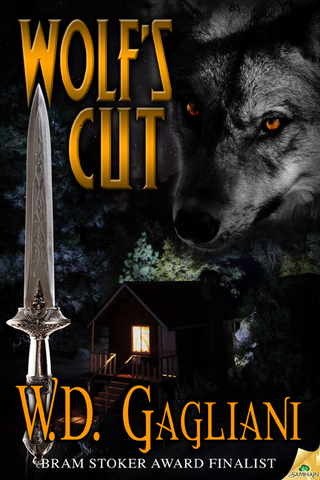 WOLF'S CUT (fifth book in the Nick Lupo series), new Crossroad Press edition, 2017. WOLF'S BLIND (sixth book in the Nick Lupo series), new Crossroad Press edition, 2017. I went to sleep in a funky North Woods motel, had a dream, and when I woke up, THIS happened... It's the first thriller featuring J.A. Konrath's Jack Daniels and my own Nick Lupo. A little off-the-books action in the North Woods for the two cops and a couple of hitmen. In all probability, Jack and Nick will cross paths again. 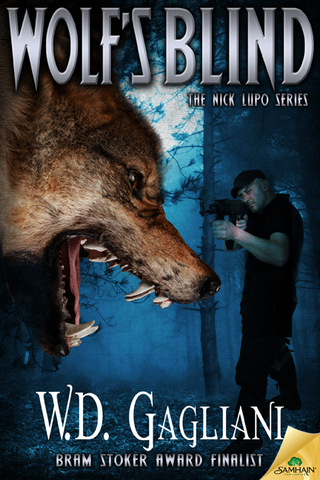 Wolf's Blind is the 6th Nick Lupo novel and it's due from Samhain Publishing in November 2015! Now available in paperback and audio! The team of Benton & Gagliani are proud to have their story "Clair de Lune" included in this amazing anthology, edited by bestselling author Jonathan Maberry (IDW Publishing). SNAFU: WOLVES AT THE DOOR includes a hybrid novella ("Werwolf!") by Benton & Gagliani fashioned from the WWII parallel story in my novel WOLF'S EDGE. My fourth Christmas tale, published late December 2014! 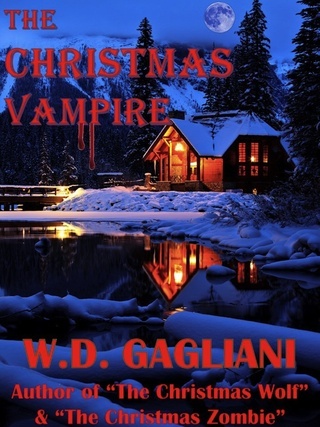 "The Christmas Vampire" follows appearances by a holiday wolf, zombie, and mummy. 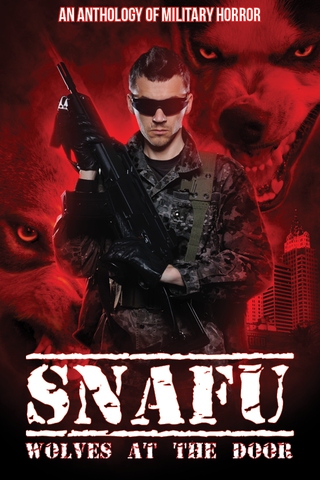 Full wrap-around cover of SNAFU: AN ANTHOLOGY OF MILITARY HORROR (Cohesion Press, Australia) which will include the Benton & Gagliani tale "Thela Hun Gingeet." We'll be sharing space with the likes of Jonathan Maberry, James A. Moore, Weston Ochse, Eric S. Brown, and many others! This new cover (by Gary Jonas) for Savage Nights came along in 2014! 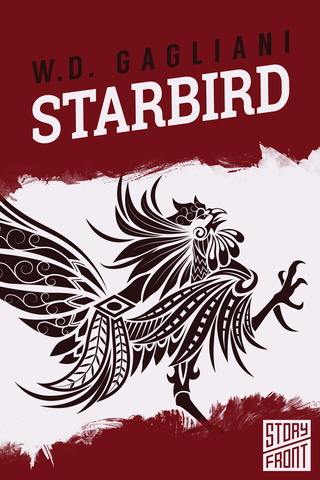 "Starbird" from Amazon's Story Front program, available from January 8, 2014. Let loose the Graken! New 2013-2014 holiday story by W.D. 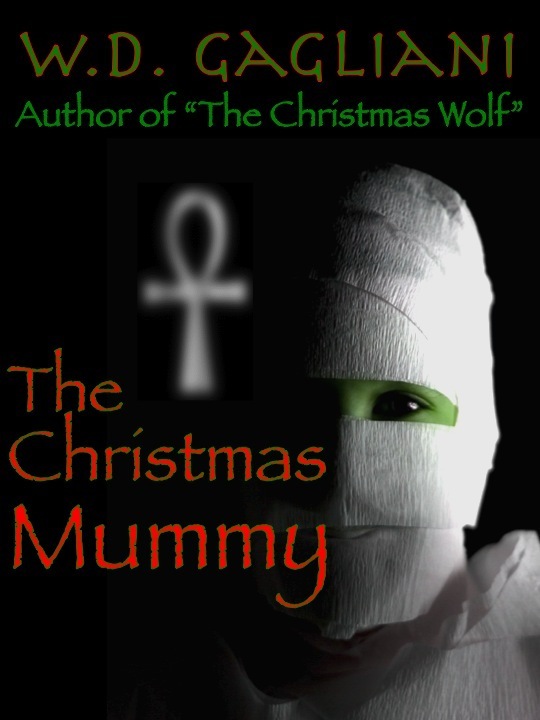 Gagliani, "The Christmas Mummy" is now available for Kindle only! "Piper at the Gates" by David Benton & W.D. Gagliani... a tale of mislaid medical ethics in the modern world. New story by W.D. 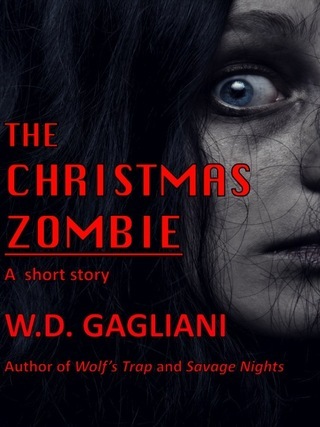 Gagliani, "The Christmas Zombie" is now available for Kindle and Nook (other formats soon)! New Splatterpunk story by Benton & Gagliani! Next up:2013 EventsSaturdayFebruary 16, 2013Barnes & NobleSouthland Center2710 South Green Bay RdRacine, WI 53406262-598-9757I will be participating in another multi-author signing event. More details to come, but (among others) I'll be joining my friend and collaborator David Benton and horror pal and fellow Leisure, Samhain, and 47North author John Everson at the Racine Barnes & Noble store. There will be other scribes, as well, plus a writer's workshop at 12:30, and my own appearance time will be 5:30 but I'll be hanging around a fair portion of the day. Plan to stop on by for signed copies of Wolf's Trap, Wolf's Edge, and A.G. Kent's I Was a Seventh Grade Monster Hunter! Hope to see you there...June 2013DucKon 22Details coming!September 2013Killercon 5Las Vegas, NVDetails coming!2012 EventsOctober 20, 20126:00 PMBarnes & NobleSouthland Center2710 South Green Bay RdRacine, WI 53406262-598-9757I'll be participating in a multi-author Halloween-themed event at the Barnes & Noble Bookstore in Racine, WI. I'll be there roughly from 3:00 to 8:00 PM, but my hour is 6:00 PM. I'll read from Wolf's Edge, A.G. Kent will read from I WAS A SEVENTH GRADE MONSTER HUNTER, and maybe I'll take questions about werewolves and other monsters. Stop on by to see us! Next up:KILLERCONLas Vegas, NVSeptember 19-23, 2012Schedule details to follow! W.D. Gagliani and David Benton (together sometimes aka A.G. Kent) will be appearing at DucKon in St. Charles, Illinois, the weekend of June 1-3, 2012.See full schedule under Events! Did you see the Wolf's Edge cover on the Jumbotron in Times Square? Samhain Publishing's ad ran there every hour for about two months, ending in mid-April! How cool is that? Remember that you can find me on Twitter at@wdgagliani and on Facebook at www.facebook.com/wdgagliani.See you there! 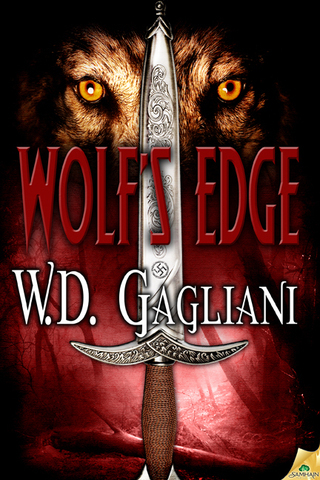 Order your copy of Wolf's Edge at the new Samhain Horror store! The new home of horror -- and Nick Lupo! WOLF'S TRAP - new Samhain edition! The city is its own trap. The killer stalks its streets, eager for twisted revenge. Up North, a chill wind whips through the treetops. Clouds race past the silver-white disk rising above the woods. Moonlight bathes the landscape in silver tints. Somewhere in the woods, a creature howls. The sound is forlorn, tragic, full of sadness. But there's rage, too, rage at the moon and its influence. Water laps at the pier supports up and down the chain of lakes. But people lock their doors and draw their shades. Whatever's out there, they don't want any part of it. The wind ripples through the trees, bringing with it the smell of woodsmoke. Dreadful Tales on Wolf's Edge! Can one werewolf stop a pack of super-wolves? Nick Lupo is a homicide cop with a difference. He’s a werewolf. He’s worked hard to control his condition, but it isn’t easy to contain the beast inside him. It also means he has some very powerful enemies. Wolfpaw Security Services is a mercenary organization that wants Lupo dead. They want to infiltrate the US military with their own werewolves and they can’t let anyone—especially a fellow-werewolf like Lupo—stand in their way. Wolfpaw’s genetic experiments have created a “super-wolf” nearly invulnerable to silver, and soon their ranks will be filled with these invincible warriors. Can one wolf—even a fierce beast like Lupo—face the fangs and claws of a pack of these killers and hope to survive? news:wd gagliani attended killercon 3 in las vegas, september 22-25, 2011. Check out pictures from the convention at W.D. Gagliani's Facebook page. Also see the link below for more info on next year's Killercon!